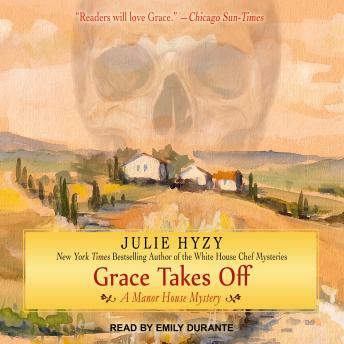 When Grace Wheaton and her boss, Bennett Marshfield, turn up at the Italian villa of one of his oldest friends, they're troubled to discover that most of his friend's impressive art collection-including a prized bronze skull crafted by Picasso-is fake. Someone has been selling the real deals and replacing them with skilled forgeries. Unfortunately, Grace and Bennett have to fly home the next day, so there's no time to investigate. But their troubles are hardly over. On the plane, Grace catches a woman trying to poison Bennett. The woman, of course, isn't talking, but by the end of the flight, there are two dead bodies. Now Grace has to wing it to find a mile-high murderer-especially since she suspects Bennett is still in danger . . .